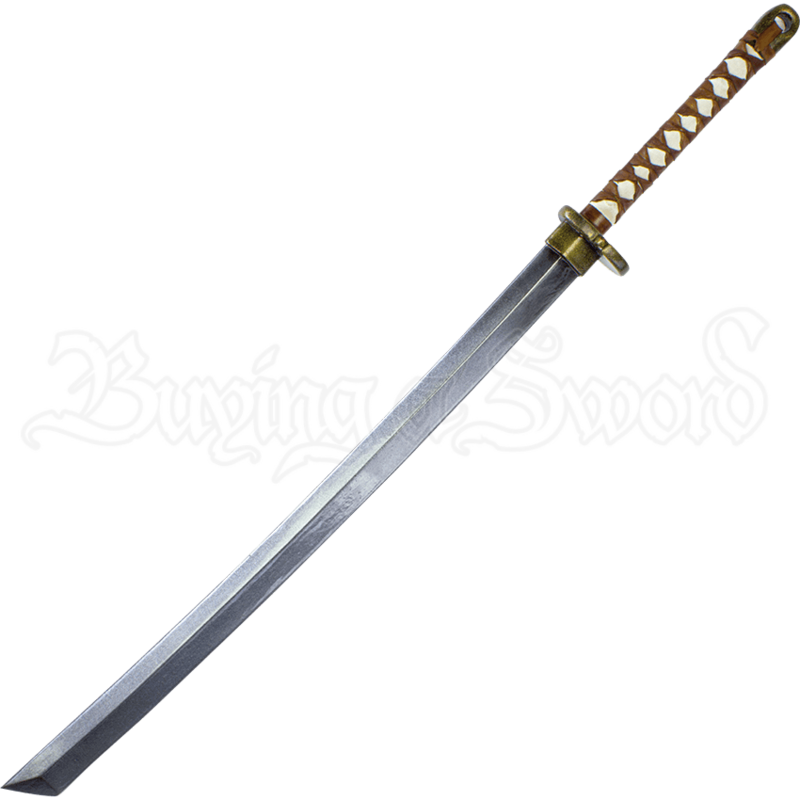 Become a fearless samurai of the Edo Period with the Dai Katana LARP Sword in your grasp. Your movements are both swift and graceful as you rid the village of the ruthless bandits that have harassed the peasants for far too long. This LARP weapon follows the traditional style of the Japanese katana. The slender blade curves slightly. A kamasu-kissaki tip appears at the end of the steel-colored blade. An antique gold finish covers the ornate tsuba and kashira. Tsukamaki made from leather reinforces the grip. This LARP katana is made from an extremely durable foam that does not shred and sealed with a strong coating of latex. Safety is always an important issue in LARP, which is why this weapon has a round, flexible fiberglass core with strong Kevlar core tip protection.